Just about to turn one year old, Pittsburgh-based label is / was has already made quite the impact with fresh and timeless releases from heavy hitters and new names alike. We had a chat with label boss Tony Fairchild after he turned in this bangin’ set for the Hot Mix. Tell us a little about the mix — what was the idea behind it? It’s a collection of records I’ve bought over the past month or two with maybe 3-4 that have been in my collection for some time. I think I’m starting to get to a point where my personal definition of house music is starting to congeal and define itself. This mix is another step in the distillation process. You’re a new imprint — how’d this all get started? Is it “is / was” or “was / is” ? Yes, the labels (is / was & was / is) will turn 1 in April and they are my first labels. It all started with my desire to present music from the 90’s that has maybe fallen out of the spotlight to dance floors of today. Currently the curatorial ethos is simply releasing whatever I feel is timeless and important music. It helps to have a kick drum too! Looking across the state from Philly, Pittsburgh packs quite the punch with its scene / labels / parties. Tell me a little bit about the scene and what you think makes it special / different. I think what makes Pittsburgh great is what makes Midwest techno great in general. 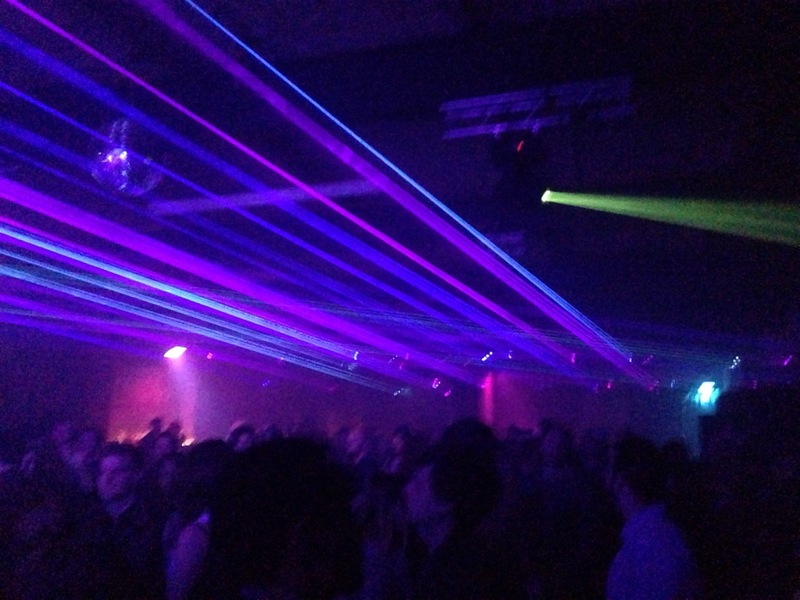 Heads-down, no frills, hyper-devoted people who involve themselves in dance music simply for the love of it. It’s an example of the beautiful things that can happen to art and culture when you take money out of the equation. What I’m most proud about is how cohesive the scene is and how supportive everyone is of each other. All the contributors to our scene have their own hustle yet are able to come together to lift each other up and put wind in each other’s sails. How do you come across some of these older projects and go about re-releasing them? What can we expect the rest of 2018 ? Usually it starts with a record I have, or am aware of (and wish I had! ), that I think has something to offer current dance floors. Often its just a matter of contacting the artist and asking if they are interested in working together. Facebook is a big help! As far as what to expect from the label, there will be 4 more pairs of is / was & was / is records dropping between now and the end of the year. Expect tunes from Mark Ambrose, Archetype, BPMF, Dar Embarks, a couple of top secret surprises and the debut of the insanely talented Teakup. I am also launching a new label, “TerraFirm”, this spring via Subwax Distribution. Its a very conceptual project focusing on a melodic, utopian, futuristic strain of techno. Look for 2 releases or so this year on that imprint. Tell me something distinctly Pittsburgh that I should know about. I’ve only lived here for about 2.5 years so I’m not the most qualified cultural ambassador! Our museum has a sick gem room that should be one of the first stops on any tour of the city. What’s your favorite / least favorite thing about electronic music right now? Favorite: watching the DJ’s and producers of my generation evolve as they mature in the scene. I see my cohort getting more nuanced, skilled and discerning. We aren’t the ankle-biters anymore! Our friend & anonymous producer Deeper Kenz just put out a fantastic tape on the always-excellent LA-based label 100% Silk. They put together a disco-laced mix for us and we chatted about wandering, relationships, and of course, Kensington. KDU: Where did the Deeper Kenz alias come from? Deeper Kenz: The name of the project was meant simply to pay homage to the place in which the music was made. I first moved to Kensington in 2007 and was 19 at the time. I feel like I became an adult there. I owe a lot to the neighborhood and its different residents. KDU: How did Philadelphia influence the sound of this tape? Deeper Kenz: The Sound of Philadelphia is a wonderfully dense landscape and so many parts of it have affected me deeply- the city’s towering contributions to Soul, Disco, and Hip hop, the Experimental and Noise music communities of which I was a peripheral part, the Saturdays of Caribbean music on WKDU, the talented people I DJ’d with at clubs and parties, the dancers there- I felt so connected to and inspired by all of this while I was working on the tracks that would end up on the tape. I spent so many hours wandering around the city but I was always most attached to Kensington. The track names were an attempt to create a map of some of the details of the area that were most important to me. KDU: Were there any artistic influences that went into Deeper Kenz? Deeper Kenz: I was obsessively digging for Techno, House, Disco, Funk, and Soul tunes at the time I was working on these, so I’m sure I was fully processing my education. I also was trying to make music I could play out Djing and would fit in the context of my sets. I was also inspired by the personal relationships I had at the time and the inexhaustible current of music flowing through so many of them. I hope the gratitude I feel shows in the music. KDU: How did you get involved with 100% Silk? Deeper Kenz: I got in touch with 100% Silk through some mutual friends- Britt Brown had written a review of another project of mine and we first began corresponding about that. He was interested when I told him I had some music that sounded vaguely appropriate for the label and I was ecstatic when they agreed to release it. I hadn’t exactly intended for these recordings to come out- they were just for myself and my friends. All this comes as a pleasant surprise. KDU: What is your favorite food and/or drink to eat before or after hittin tha club? Deeper Kenz: Ha- thanks to everyone at W/N W/N who fed me whether I asked for it or not. Pour yourself a nice covfefe & enjoy the full Deeper Kenz tape here. The goodie crew providing the laser fullness at their warehouse. Soooo many good DJs are rolling through Philly this weekend. This is a list of what’s going on to help keep you up to date and up all night. 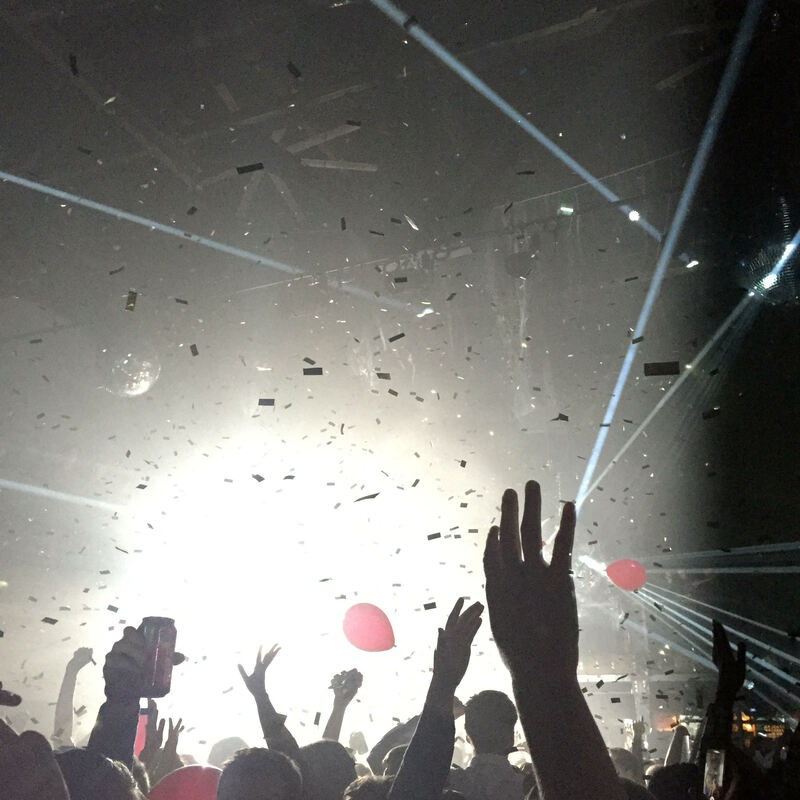 Madness ensues at Union Transfer as Making Time NYE transcends into 2015! Playing the right track at the right time is one of the most important aspects of DJing. I asked some of my favorite DJs that spun on New Year’s what they played at MIDNIGHT to see what songs ushered in 2015 !!! This was written last fall, but slipped through the cracks until Jonathan fortunately remembered and sent it over to me. I recently had a bit of an unusual night. I went out bar-hopping with a friend and some girls he knew much later than I normally would (we didn’t start drinking until after midnight, which I felt was rather late for a Wednesday night). Afterwards we filled up on Wawa hoagies and by the time I got home at 4 AM, I was stuck with a choice: Should I pull an all-nighter and exercise at 6:00 AM, or sleep until noon and contribute nothing to better society? Being the headstrong individual that so many describe me as, I decided to start my day early so I could crash right after. I managed to keep myself awake for 2 hours by snacking on chocolate covered espresso beans, until I was able to head to the Bikram yoga studio. For those who don’t know, lack of sleep, meatball hoagies, and whiskey typically aren’t a great way to warm up for 90 minutes of intense exercise in a heated room. The mind turns to anything else to distract it, which for me is always music. What with the sleep deprivation and trying to work out the alcohol from my system, I began to have bizarre waking dreams synched up to whatever music was stuck in my head. Having recently just seen Spiritualized live, I couldn’t get their music out of my mind. I tried to recall exactly how specific songs went, causing a strange, Fantasia-like series of flowing colors to move behind my eyelids. As soon as I got home, determined to hear the space/psychedelic/gospel rock of Spiritualized the way it was meant to be played, I cued up Ladies and Gentlemen, We Are Floating in Space on my stereo and settled into my bed for the proper listening experience. Of course, having been up for nearly 24 hours at this point, I immediately fell asleep, with iTunes just playing through their entire catalogue (just three albums, but still a sizable length of music at over 3 hours long). Now I don’t know how many of you have tried to go to sleep with blinding daylight outside, but it’s really hard. Your body naturally wants to be awake when the sun is out (no seriously, it’s science) and trying to fall asleep at 8 AM when you’re used to waking up then is damned near impossible. So impossible, in fact, that I kept waking up from bizarre whiskey/yoga dreams to hear the sweet sounds of Spiritualized playing in my room. These dreams seemed much more like a Hollywood production than typical the random firings of my subconscious. They had plot structure that (nearly) made sense, real characters that weren’t just bastardizations of people I knew in reality, and music. Oh, the music! It was like having an honest-to-goodness soundtrack playing the entirety of my dream. A chilled out party had “Cop Shoot Cop” playing in the background. I went on a bike ride and I heard “Headin’ For The Top Now” playing as I climbed the hills. At one point, I met a girl and “Mary” played while she described the most tragic life my subconscious had ever imagined. I honestly can’t think of a poetic way to finish this, I just wanted to share with you all the joy that comes with staying up all night, eating and drinking too much before a yoga class, and finally sleeping while the music you’ve had stuck in your head for the last hour and a half is playing into your ear holes. Bottom line: music + sleep = awesome and I definitely recommend that’s how you spend your next all-nighter, no matter what causes it.